Salisbury Hospital’s chief administrator and chief doctor refuse to say they are holding consent forms signed by Sergei Skripal and Yulia Skripal. Without those forms, and proof the hospital has obtained them from the Skripals since they regained consciousness last week, the hospital is making claims about their privacy which are improper, according to the practice rules of the British National Health Service, and unlawful violations of their human rights, according to British and European law. Late on April 4, Cara Charles-Barks, the Salisbury Hospital chief executive, said by email: “Due to patient confidentiality, the [Salisbury Hospital] Trust is not able to enter into further correspondence about the clinical care of patients.” This was her reply to the request that she confirm her hospital’s standard practice for communication between patients and their next of kin; and the particular next-of-kin arrangements which the Skripals have agreed with Salisbury Hospital. For details of that story, read this. 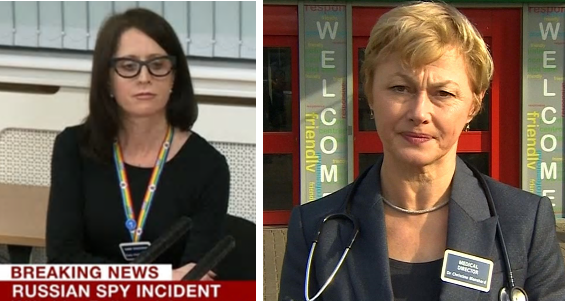 Left – Cara Charles-Barks; right – Dr Christine Blanshard. On Friday afternoon, April 6, following Yulia Skripal’s telephone call to her cousin in Moscow, Victoria Skripal, the Salisbury Hospital’s medical director and chief doctor, Christine Blanshard, issued a new claim about the medical care and condition of the Skripals. Click to open. Blanshard reported that both Skripals remained under her supervision in the hospital. As of Friday afternoon, they had not left for the US, Canada, Australia, or New Zealand, as the Rupert Murdoch media began reporting on Saturday evening. 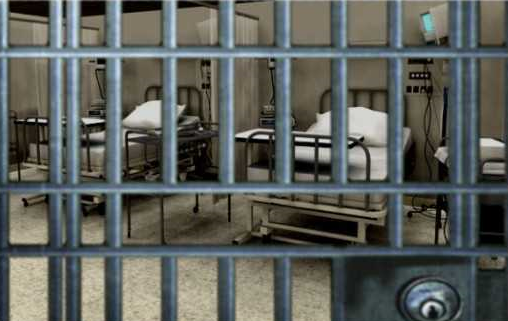 The British law which applies to patients in hospitals, as well to their communication with next of kin, is the Human Rights Act of 1998. Here it is in full. This statute gives legal effect in the British courts to the European Convention for the Protection of Human Rights and Fundamental Freedoms. When Blanshard made her claims about Yulia Skripal’s privacy and consent, she is required to comply with Article 8(1) and (2). If she is falsifying what Yulia Skripal has said, or if she has failed to get Skripal’s consent “in accordance with the law”, Blanshard can be called to account for her actions in court, according to this statute. She is also required to comply with the rules of the “Caldicott Guardian”, as referred to in the hospital website’s description of Blanshard’s duties. The Caldicott Guardian is the official role required to be assigned at every hospital by the British Health Ministry and the National Health Service since the adoption of the Report on the Review of Patient-Identifiable Information; that was issued in December 1997 by a committee of officials chaired by Dame Fiona Caldicott; for the full report, click. 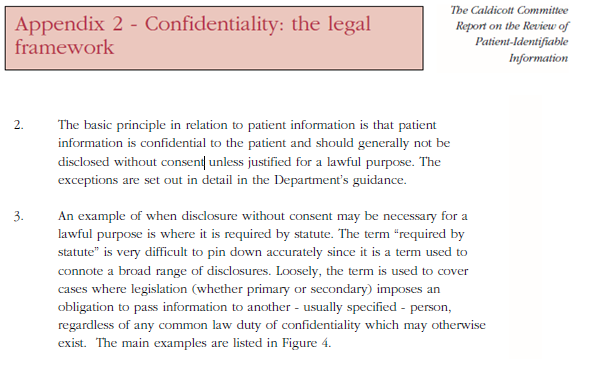 The report’s intention was to protect patient confidentiality; and also to ensure that “the sharing of some types of very sensitive personal information is strictly controlled by law.” Blanshard was, still is, the Salisbury Hospital’s official responsible for the lawfulness of patient information and consent. For a brief summary of the Caldicott principles, read this. To verify what the Salisbury Hospital authorities are claiming about Yulia Skripal’s wishes and the lawfulness of her reported consent, Chief Executive Charles-Barks and Medical Director Blanshard (along with their spokesmen Patrick Butler and Paul Russell) were asked by email on Saturday morning two questions. Ms Yulia Skripal had confirmed this, as you know, a day and a half earlier in her Thursday morning conversation with her cousin, Ms Victoria Skripal. You have added to the evidence dispelling media speculation that the call was not a genuine one, and I am most grateful for your contribution. — it is universal hospital policy that patients sign consent forms relating to care, to contact with next of kin, and to privacy. You were referring to this when you said in your statement — “Yulia has asked”. Do you have these signed consents from Ms Skripal, and if you do, I request you prove it. — I have highlighted two word forms in the Metropolitan Police quotation of Ms Skripal’s remarks. These cannot be translations from the Russian language we know Ms Skripal uses. They are also English idioms which she cannot form herself. Do you as the responsible physician have evidence that Ms Skripal’s exposure to the purported nerve agent has improved her English beyond the level she exercised prior to March 4. I invite you to respond promptly. In the event that you do not answer the questions, I am obliged to remind you, as before, that you will be reported as refusing to answer. By press time, Salisbury Hospital refuses to produce evidence of lawful consent.